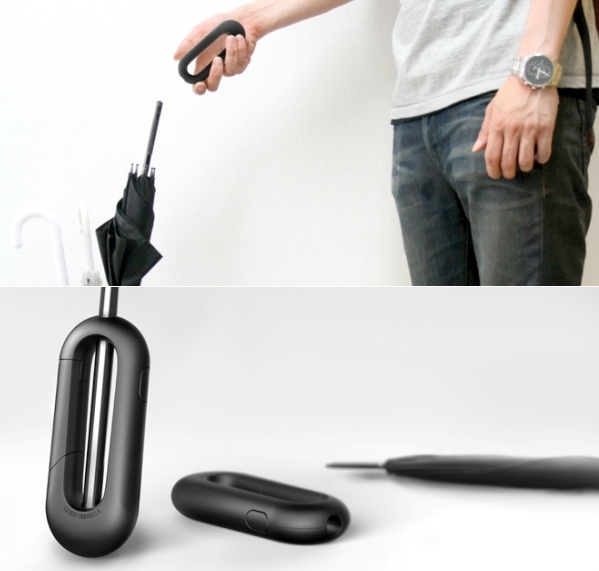 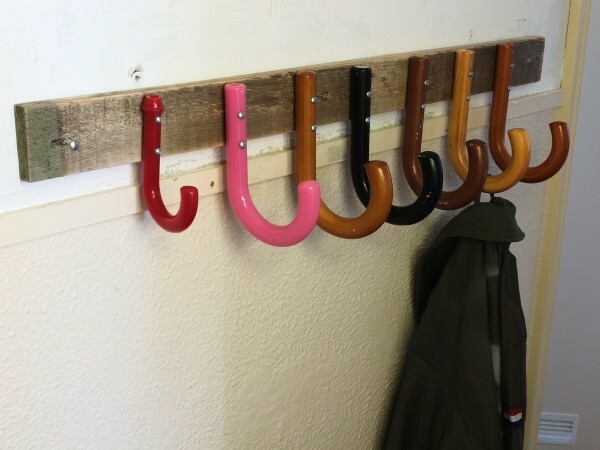 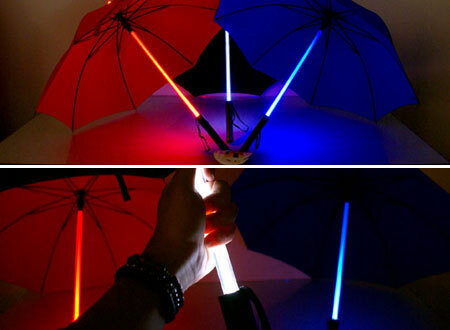 See where you are walking when it’s dark and raining out with the Path Illuminating Umbrella . 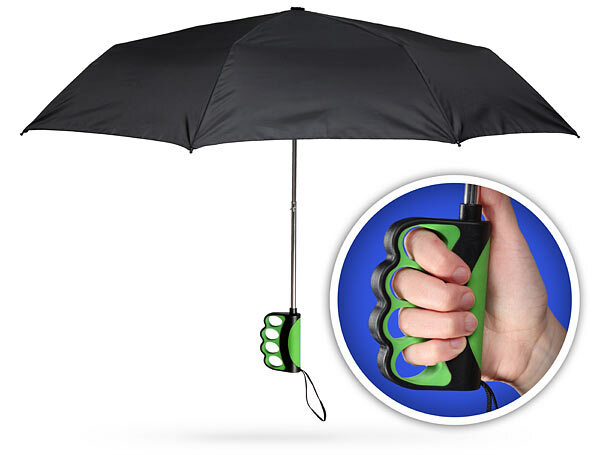 This umbrella has an adjustable LED flashlight built right into the handle so you can throw out your old duct-taped flashlight umbrella combo for something more effective. 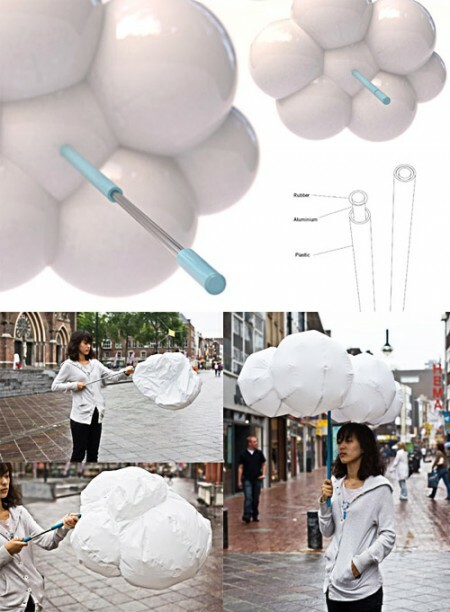 It’s actually a pretty smart idea. 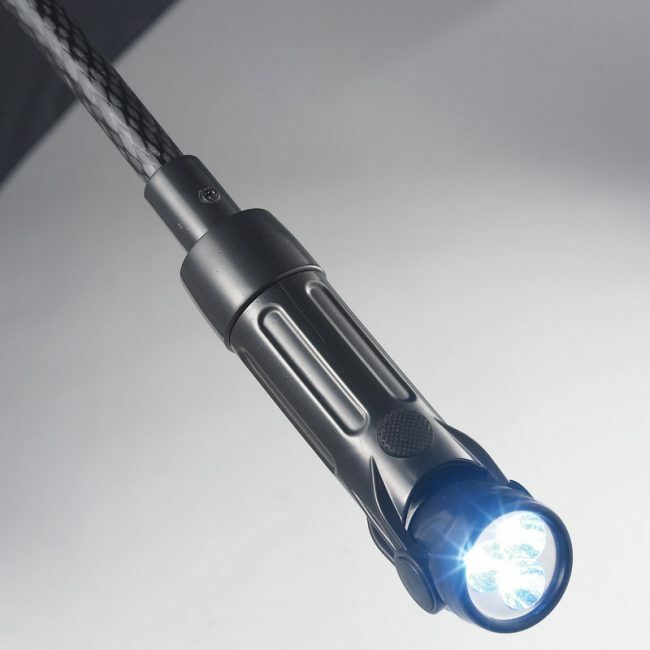 The flashlight provides 100 lumens of light which is enough to light up a walkway up to 30 feet ahead of you. 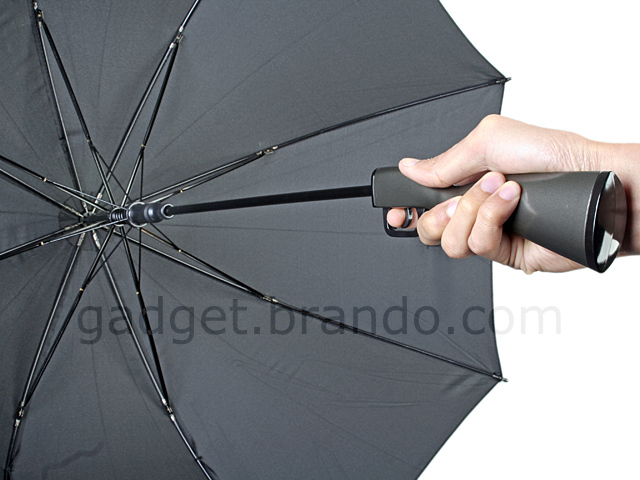 It’s powered by 3 AAA batteries (included) that will provide for 48 hours of continuous usage (that’s a long time to be out in the rain in a row). 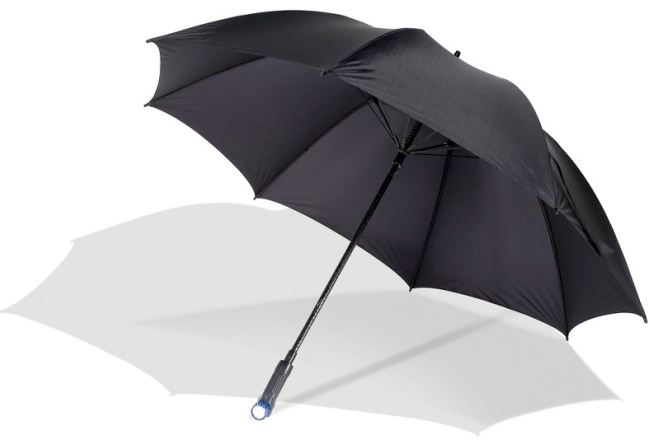 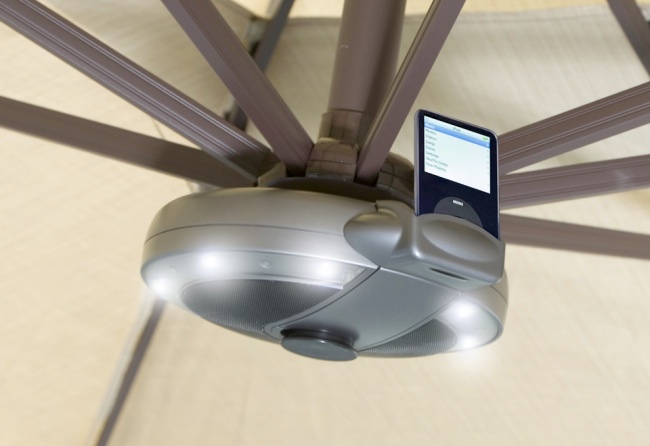 The umbrella itself has corrosion resistant fiberglass ribs that hold up a 5 foot diameter gust-resistant canopy. 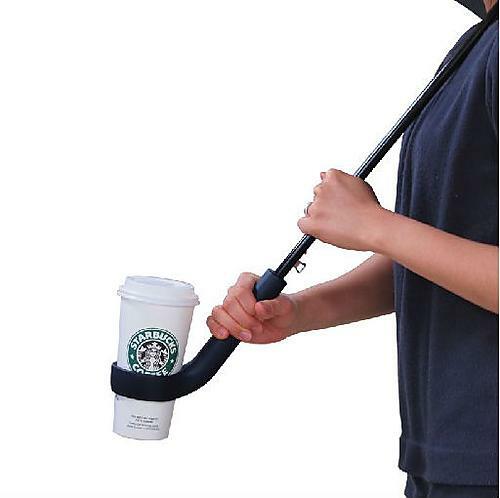 $39.95 at Hammacher.